Gay Peru group trip: Our 12-day trip through Peru will give you the chance to see the remains of the Inca civilisation, including the glorious ruins of Machu Picchu. We’ll take a train ride through the Andes, explore a desert oasis and see the penguins of the Ballestas Islands (yes, you’ll see actual penguins!). The landscapes are mindblowing – this will be an unforgettable trip. Arriving at Peru’s largest airport in Lima, we shall hookup at our meeting point in Miraflores at 4 pm. The adventure begins. We will explore the highlights of Lima, taking in its rich history, culinary scene and beautiful coastline. We will then explore the nightlife. On day two we jet off into the Andes Mountains on a 90-minute flight to Cusco, then down the road into the Sacred Valley to spend two nights in a town that was a former royal estate of an Inca emperor. Surrounded by history and natural beauty, our two nights here are an opportunity to immerse ourselves in the glorious history of the Incas, who ruled over this area many centuries ago before the conquistadors arrived. The beauty of the area and the surrounding Inca ruins ensure this is an unforgettable stop in Peru. On our fourth day we shall set off from Ollantaytambo on an early train through the Andes, winding along the Urubamba river. We shall see the mountain towns of Aguas Calientes, and the hot flowing springs nearby. 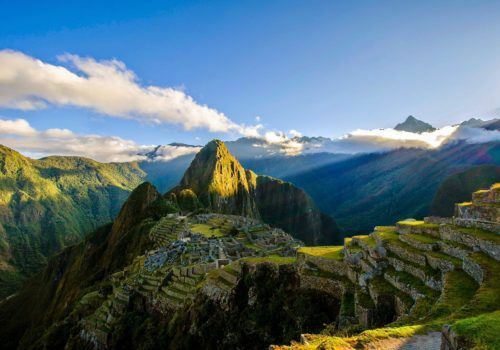 Then we shall take a 20-minute bus ride to the iconic mountaintop ruins of Machu Picchu. Our Peruvian guide is a local who knows the local area well. 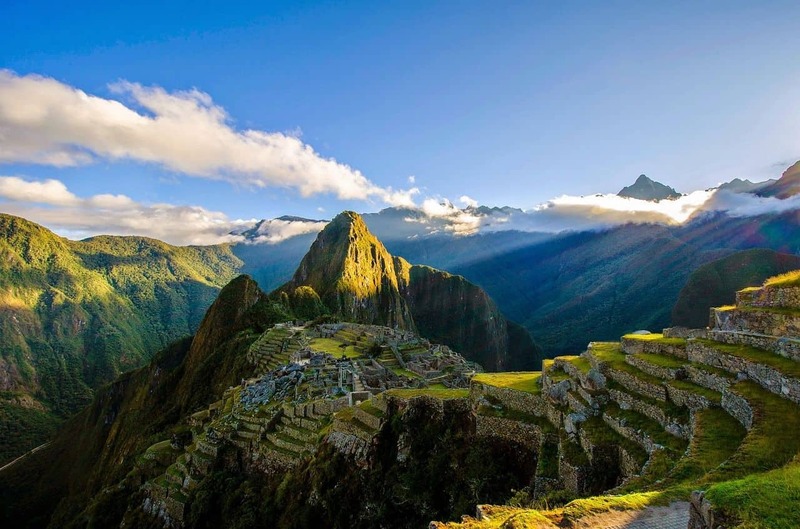 We will spend the rest of the day enjoying the wonders of Machu Picchu, which was lost for many centuries. We will spend the night at the base of the mountain in Aguas Calientes, with the beautiful ruins above us just in sight. On day 5 we will see the sunrise over Machu Picchu, and then take a hike up Wayna Picchu – before jumping on the scenic afternoon train and heading back to Cusco. Our three-night stay in Cusco gives us time to visit many of the area’s ancient sites, taste the unique local food and even experience some gay nightlife way up in the Andes. Day 8 is our only “long” travel day of the trip, starting in the morning with a 90-minute flight off the mountain, a quick transfer in Lima, and a 3-hour ride down the Pan-American Highway to the pelican-filled seaside town of Paracas. With golden sand dunes as far as the eye can see, islands full of penguins, a palm-treed oasis in the desert, wineries and bodegas galore, and the famous Nazca lines nearby, this is a completely different side of Peru that can’t be missed! On the afternoon of our 11th day, we travel back up the Pan-American highway to Lima where we’ve got one last evening as a group in our base of Miraflores. We’ll get the chance to do some shopping and have a feast together. 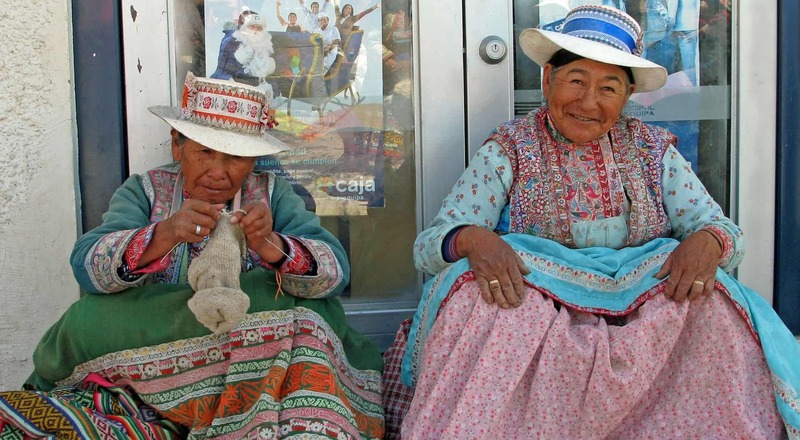 Then it will be time to say goodbye to each other and farewell to Peru.